BRIGHTON, Mich.- Great news for the auto industry! 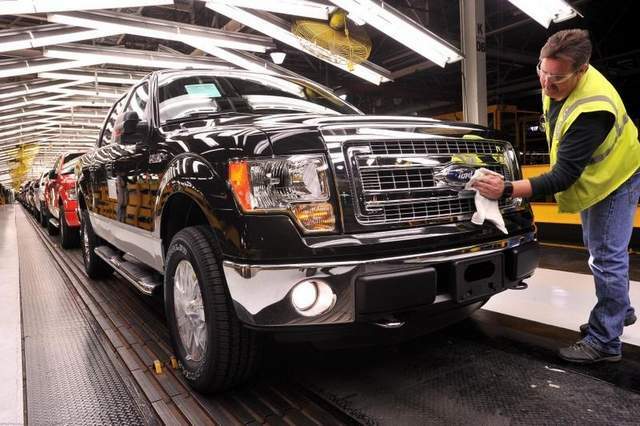 Amid revitalized auto demand in the United States after years cost reductions, plant closings, and battles with U.S. unions, Ford Motor Company has announced they will increase production to meet demand for their cars and trucks! Increasing manufacturing and shorting summer shutdowns will help the automaker meet the increasing North American demand. Ford Motor Company has announced their plan to boost production to meet North American demand will include shortening its usual summer shutdown at most plants. While most Ford manufacturing plants in the region normally shut down for two weeks during the summer, this year, they will only shut down for one week which will add 40,000 units of capacity. To reach the automaker's goal of increasing North American manufacturing capacity to 200,000 vehicles, the company has added workers at both its Kansas City and Detroit assembly plants to make up a third shift. By running three shifts, the Ford assembly plants will be working around the clock, beyond full capacity, making them more efficient and profitable. Ford Motor Company's production boost to meet increased demand means that you'll be able to drive home in your dream vehicle this summer! Visit our Brighton Area Ford Dealership to take a look at all of our New Ford Cars, but don't forget that our Used Car Dealership also has a huge inventory of Low Mileage Used Cars and Certified Pre-Owned Cars For Sale! Let us help you find your summer ride!